With the sheer amount of data available to advertisers, and programmatic making up 80% of all digital display advertising spend (IAB/PwC 2018 Digital Adspend study), it is easy to lose sight of the digital advertising consumer experience. 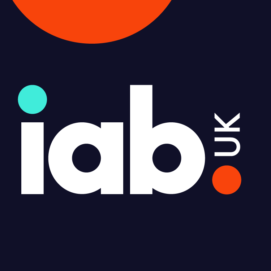 The IAB Display & Data Steering Group – in particular Spotify, Pubmatic, Zenith Media, Rubicon Project, the7stars, and Oracle Data Cloud – have collaborated to discuss how and where data, programmatic, and creativity all fit into the same equation. 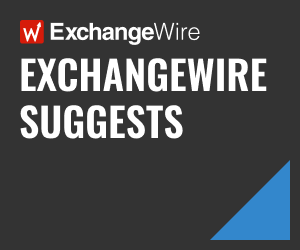 ExchangeWire: Conversations about programmatic are often quite technical. But where does creativity fit into it? Programmatic technology is the series of bricks used to build a campaign from a media-activation perspective. It’s the way that brands use data and automation to make advertising more efficient, assisting advertisers in delivering their messages to the right people, at the right time, in the right place. But these programmatic building blocks are just the canvas; creativity is the painting upon which it sits. Creativity is central to any campaign’s success, irrespective of the channel used to deliver it, and programmatic provides ample opportunities for powerful audio, video, and display creative to capture a brand message and deliver it effectively to the customer. It’s worth keeping in mind that consumers don’t hate ads, they just hate bad ads. Good advertising is all about creating powerful and emotive connections between brands and consumers, with a clear value exchange. The most successful brands do not simply repurpose ads from other channels into digital; they reimagine how advertising mediums, such as digital audio, display, and even TV, should be utilising programmatic to help deliver their message in an engaging and creative way. How can data be used to create a more tailored and positive ad experience for consumers? Whilst data should be used to inform creativity, it is essential this is done in a way that makes advertising more relevant to the people you are trying to reach. By using sophisticated data signals, such as someone’s physical location, advertisers can build up an accurate picture of who that person is and, therefore, tailor their messaging based on what their interests are likely to be. Data also gives advertisers the ability to eradicate things that we know annoy consumers, such as high frequency exposure and irrelevant ads. When looking to the future – and following the implementation of GDPR – it seems likely that users will feel increasingly empowered to take control of how their data is used within digital advertising, for example, through use of a personalised dashboard. The idea is that a user can create his/her own profile of likes and dislikes of brands and ads, which buyers can tap into in order to serve more relevant advertising. What one piece of advice would you give to advertisers about using data to fuel creativity?